Faulk Barchus has extensive experience representing energy industry clients in a variety of trial, transactional, and financial matters, in Texas, New Mexico, Colorado, Oklahoma, Kansas, Wyoming and Ohio. Litigation – Faulk Barchus has ample experience litigating in both federal and state courts. The firm represents an entire range of clients in the energy industry, including major oil and gas companies, independent oil and gas companies and landowners. We handle disputes and litigation that arise during all phases of oil and gas exploration, development and production. We have assisted in a wide range of matters, from individual landowner actions to nationwide class actions. More specifically, our lawyers have handled disputes involving mineral title ownership, uranium ownership, operating agreements, implied covenants in oil and gas leases, bad faith pooling, lease forfeiture, and royalty underpayment disputes arising from natural gas and crude oil pricing practices. We have also handled disputes and hearings before the Texas Railroad Commission. Title Examination - The attorneys of Faulk Barchus are oil and gas attorneys who have extensive experience in the examination of title and the preparation of title opinions for drilling, division orders, financing transactions and acquisitions. We protect our clients against developing or investing in wells with uncommitted interest, and prevent future lawsuits caused by careless or non-existent title work. There may be hundreds of people with an interest in an oil well, natural gas well or uranium well. If you are purchasing or selling oil and gas property, you should have a title opinion to clarify and preserve your legal rights. If you are drilling a well, you need a drilling title opinion and/or well bore title opinion. If you have a producing well, you need a division order title opinion to avoid lawsuits over the distribution of output and proceeds from oil and gas production. If you own uranium, you need an attorney to examine title and compare it with Texas law at the time the minerals were severed from the surface. 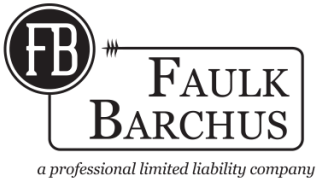 Faulk Barchus can produce a full title opinion or a limited opinion to address a particular issue. The attorneys at Faulk Barchus have authored hundreds of title opinions. Our attorneys have conducted title examinations and prepared title opinions covering lands in every part of Texas, including the Eagle Ford, Haynesville, Barnett and Permian Basin shale plays. Our attorneys have handled work in Texas, Oklahoma, New Mexico, Colorado, Kansas and Wyoming. From this knowledge, we have developed a cost-effective, efficient approach to title designed to facilitate faster turnaround and increased accuracy. This is part of the reason why we take pride in our close relationships with our clients’ field and in-house landmen. Another portion of this developed strategy involves our use of software technology to streamline the time it takes to complete our projects. Transactional - Faulk Barchus also handles oil and gas mergers and acquisitions, and ensures that due diligence is complete and thorough. Faulk Barchus is also experienced in negotiating and drafting documents necessary to facilitate the day to day operations within the oil and gas industry, such as joint operating agreements, participation agreements, unitization or pooling agreements, farmout and exploration agreements, surface or subsurface agreements, indemnity agreements, restructuring agreements, net profits or production payment agreements, lease negotiations and pipeline easement negotiations with surface owners, seismic evaluations, rights-of-ways, easements, surface rights, and other property issues relating to oil and gas titles. We have also interpreted and negotiated for our clients unit operating agreements; gas gathering, processing and marketing agreements; and Purchase and Sale Agreements of oilfield equipment, pipelines, plants and gas gathering facilities. Faulk Barchus attorneys also have experience in drafting and reviewing escrow documentation, including Deed Restriction disclosures, Affidavits of Liens, Title Objection Letters, Marital Status affidavits, Correction Deeds and Assignments. Title documentation instruments include Same Person Affidavits, Release of Liens, Subordination of Liens and Encumbrances, Affidavits of Non-production, Abandonment of Homestead, Affidavits of Heirship, Boundary Agreements, Lis Pendens documentation, and Homestead Affidavits as Release of a Judgment Lien, Power of Attorney documentation, incuding Statutory Durable Powers of Attorney. Conveyance instruments include Warranty Deeds, with Vendor's Lien, Special Warranty Deeds, Quitclaim Deeds, Partitions, Gift Deeds, Mineral Deeds, Post Nuptial Agreements for Community Property with Right of Survivorship, Deeds into Revocable Trusts, Agreements to convert separate property into community property, miscellaneous closing documents, blanket conveyances, Deeds of Trust, Promissory Notes, Transfers, Assignment of Leases, Option Contracts, rights of refusal and rights to repurchase, Indemnity Agreements, Guaranty Agreements, and renewals and extensions, among many others. Parties to these transactions have included Attorney-in-fact, dba's, partnerships, joint ventures, corporations, trusts, estates, administrators, executors, court appointed receivers, substitute trustees, and guardians.